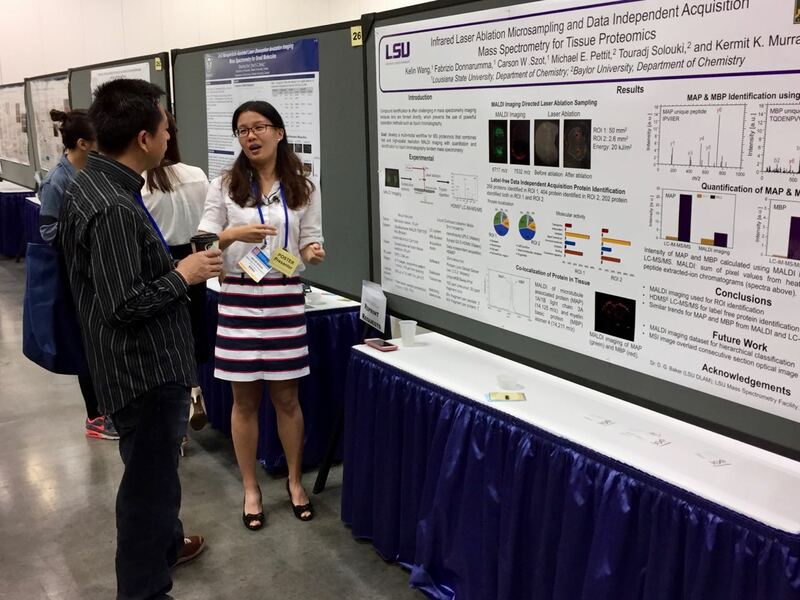 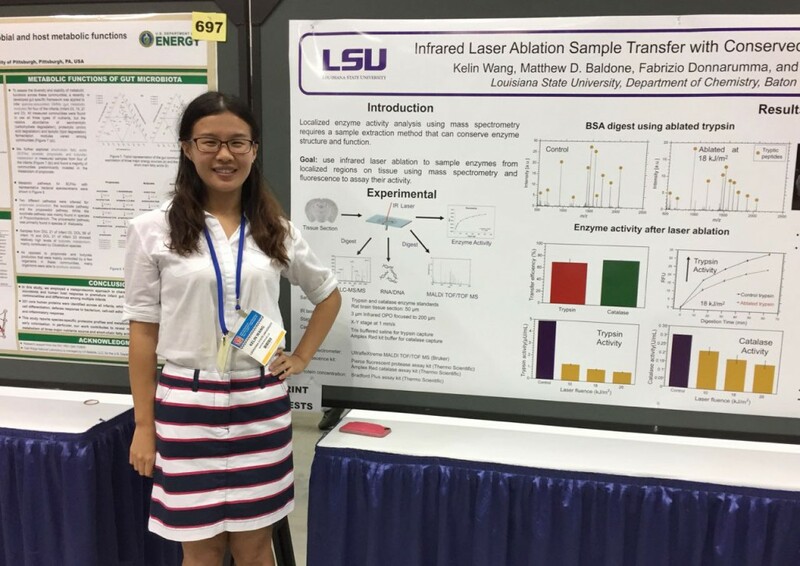 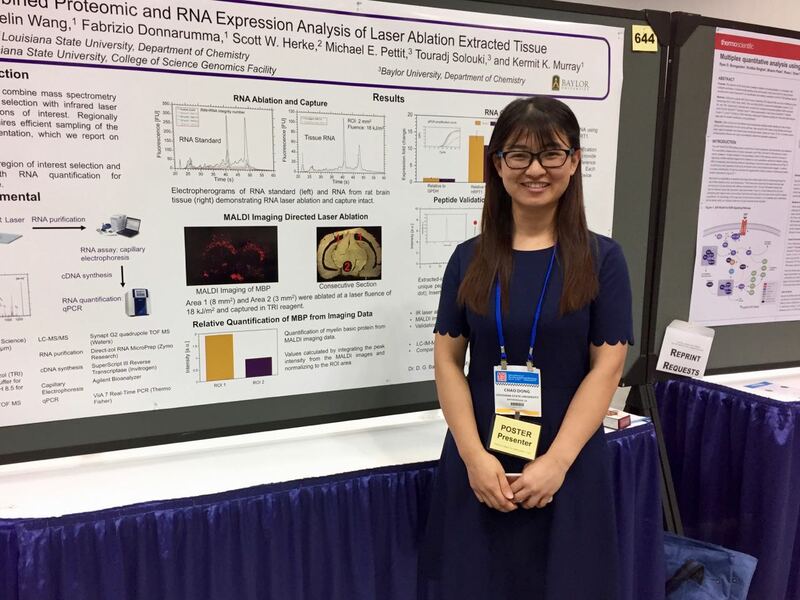 Combined Proteomic and RNA Expression Analysis of Laser Ablation Extracted Tissue, Chao Dong, Kelin Wang, Fabrizio Donnarumma, Scott W. Herke, Michael E. Pettit, Touradj Solouki,3 and Kermit K. Murray, presented at the 65th ASMS Conference on Mass Spectrometry and Allied Topics, Indianapolis, Indiana, June 5, 2017. 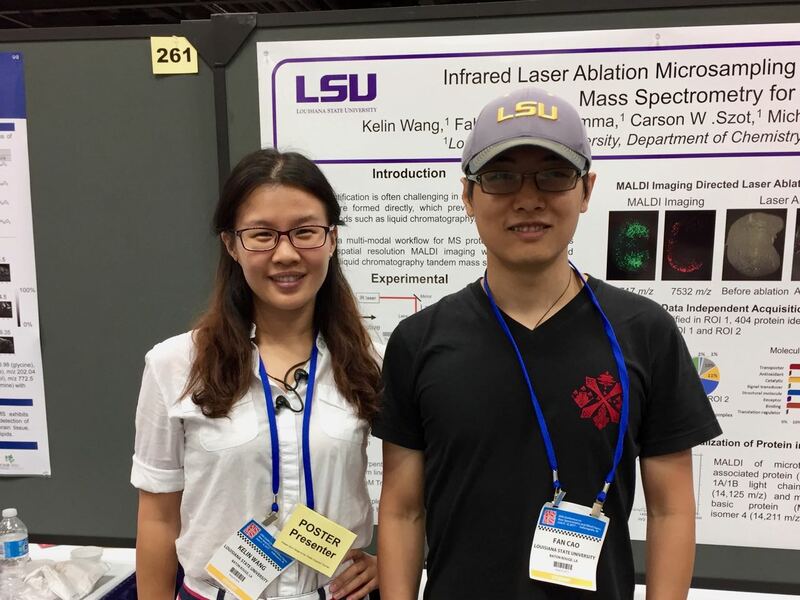 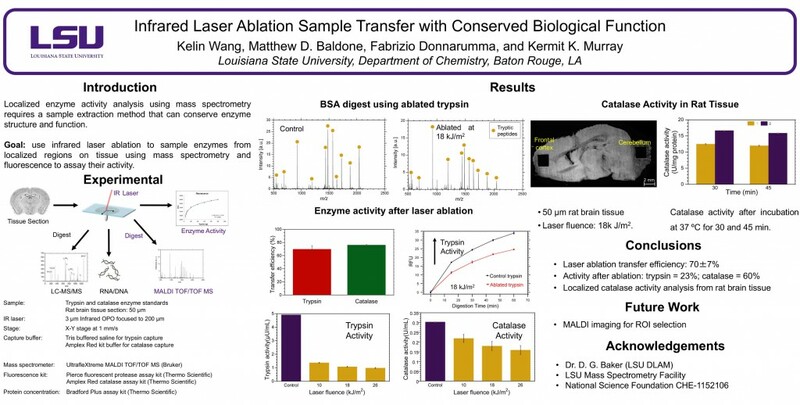 Infrared Laser Ablation Sample Transfer with Conserved Biological Function, Kelin Wang, Matthew D. Baldone, Fabrizio Donnarumma, and Kermit K. Murray, presented at the 65th ASMS Conference on Mass Spectrometry and Allied Topics, Indianapolis, Indiana, June 5, 2017. 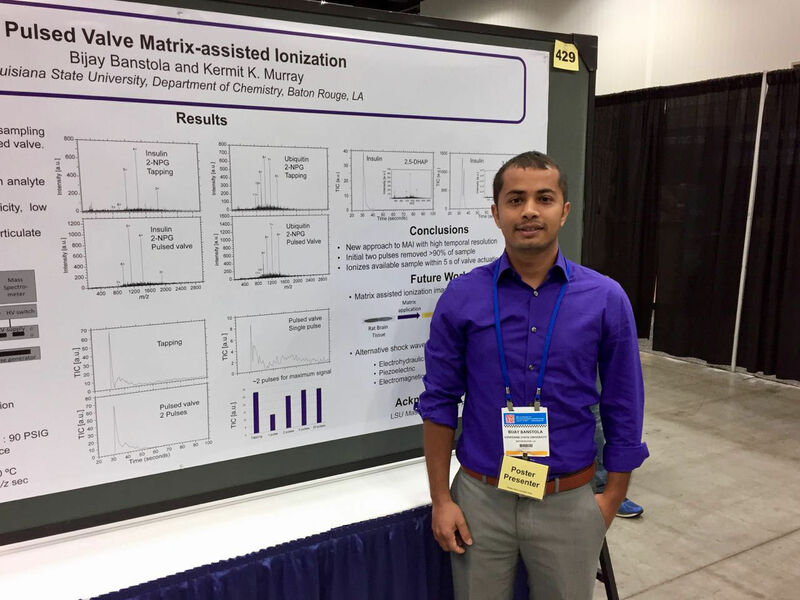 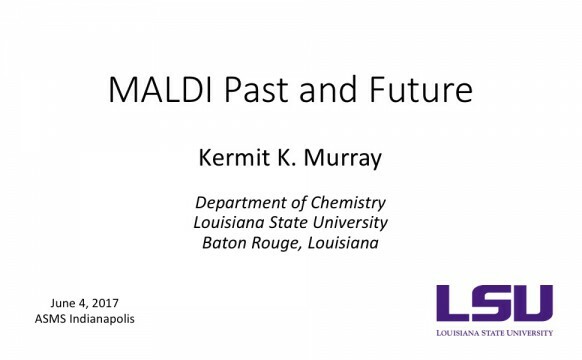 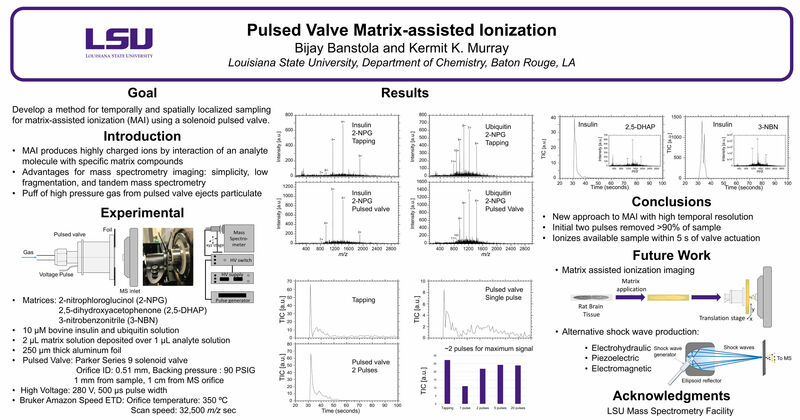 Pulsed Valve Matrix-assisted Ionization, Bijay Banstola and Kermit K. Murray, presented at the 65th ASMS Conference on Mass Spectrometry and Allied Topics, Indianapolis, Indiana, June 6, 2017. 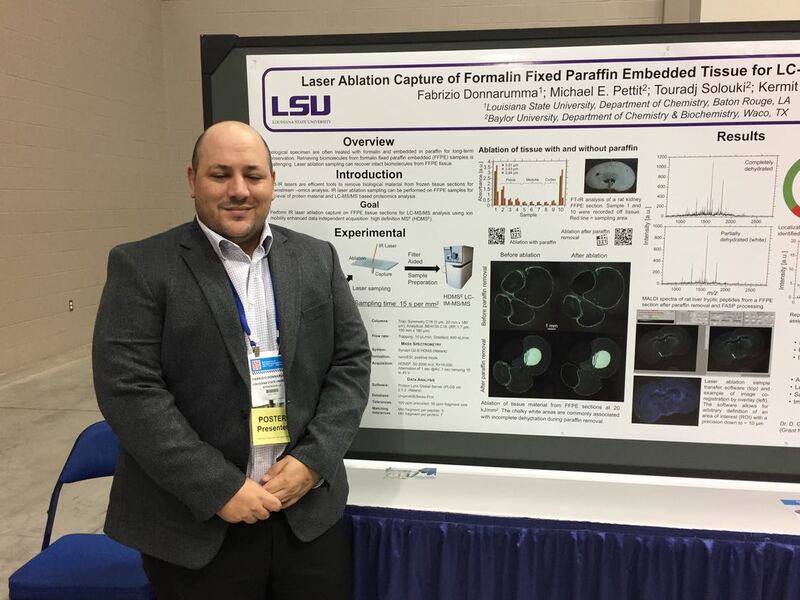 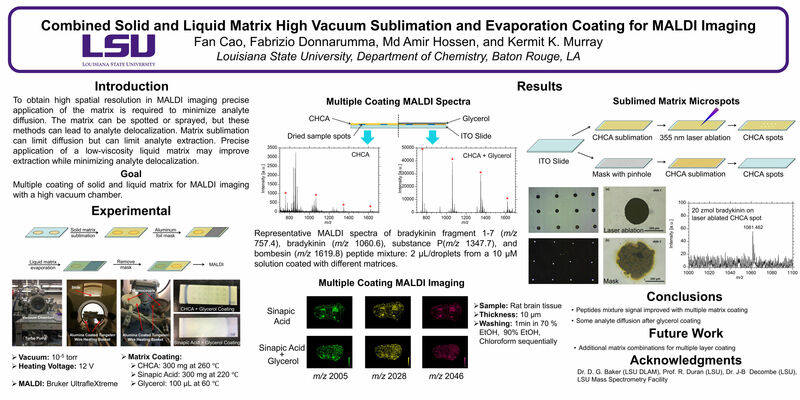 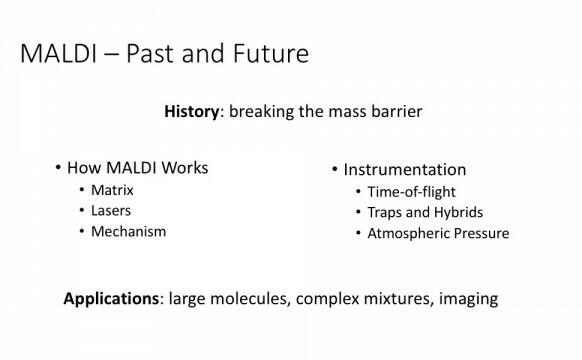 Combined Solid and Liquid Matrix High Vacuum Sublimation and Evaporation Coating for MALDI Imaging, Fan Cao, Fabrizio Donnarumma, Md Amir Hossen, and Kermit K. Murray, presented at the 65th ASMS Conference on Mass Spectrometry and Allied Topics, Indianapolis, Indiana, June 6, 2017. 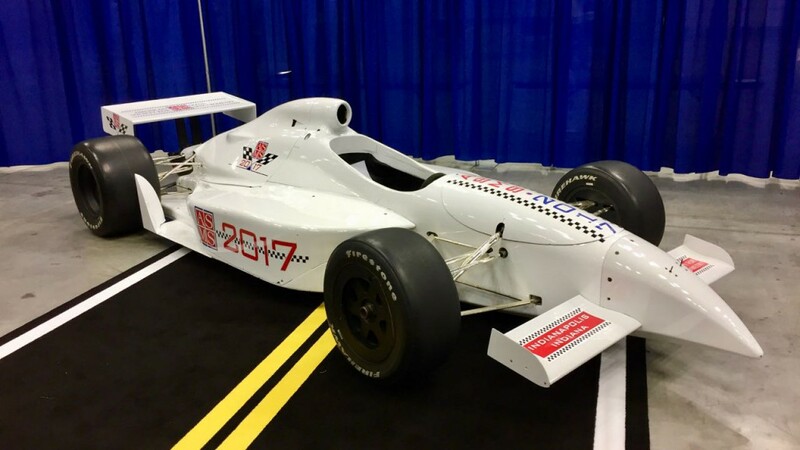 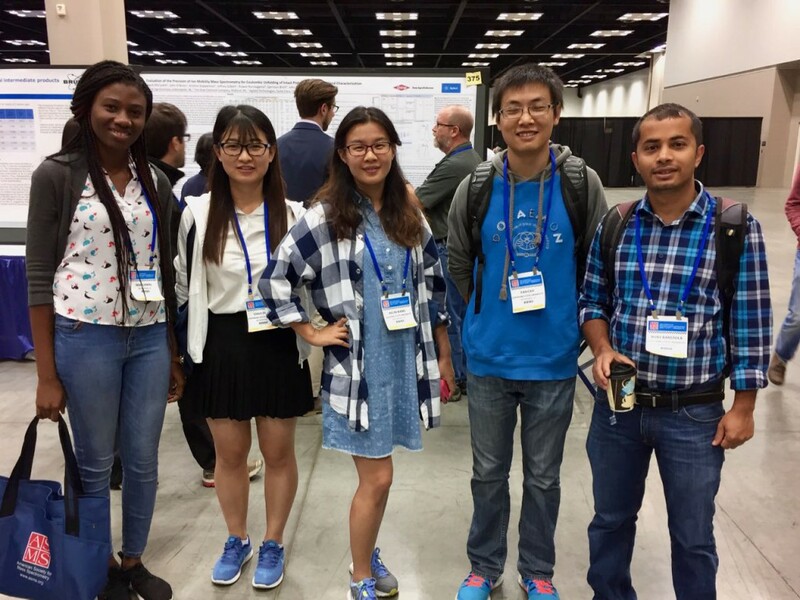 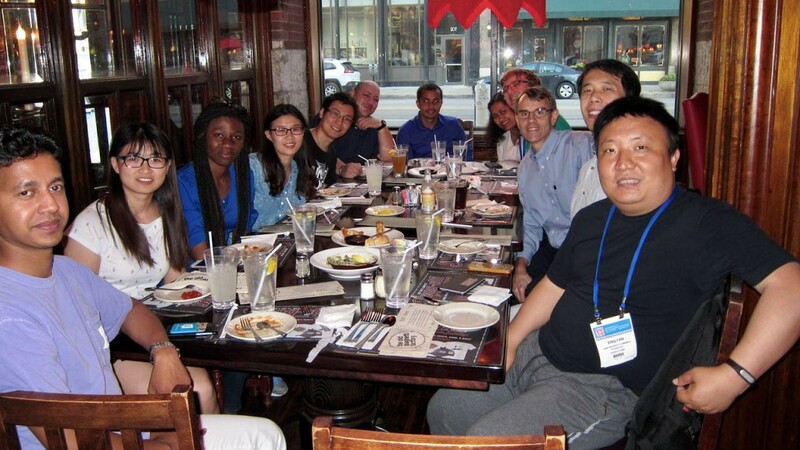 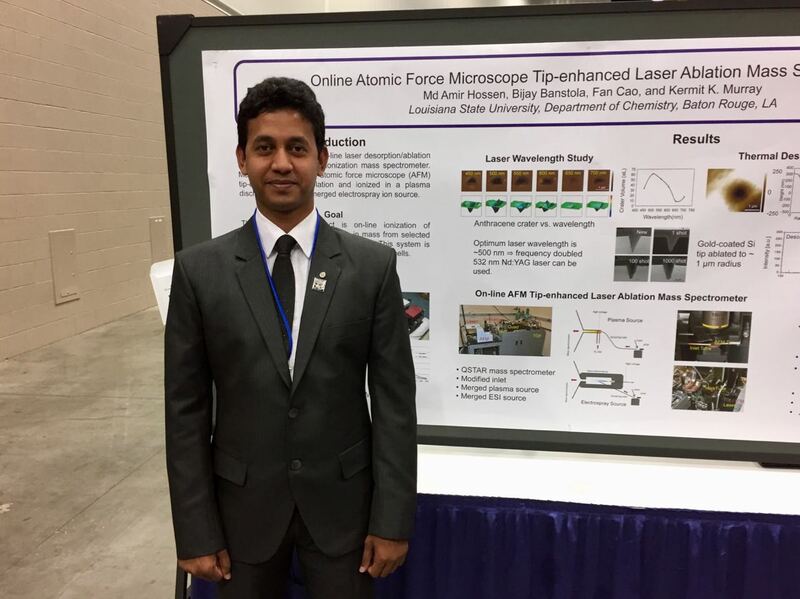 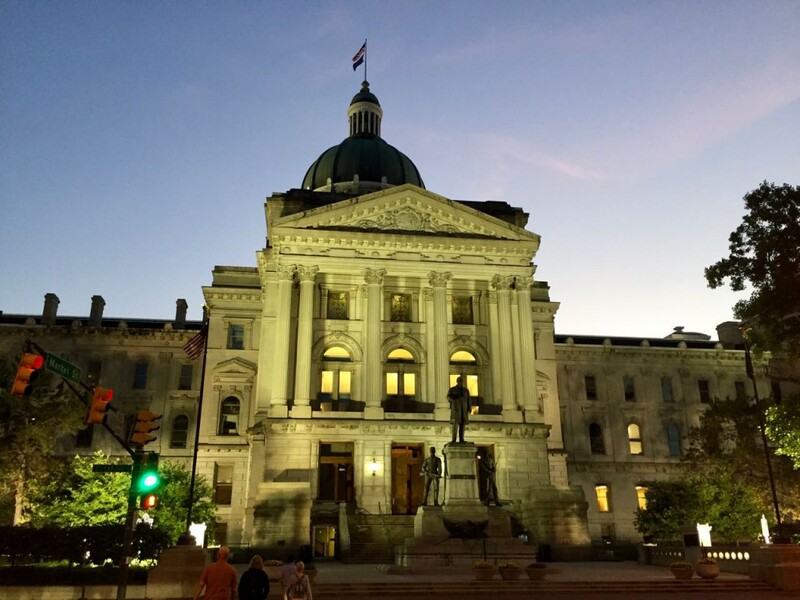 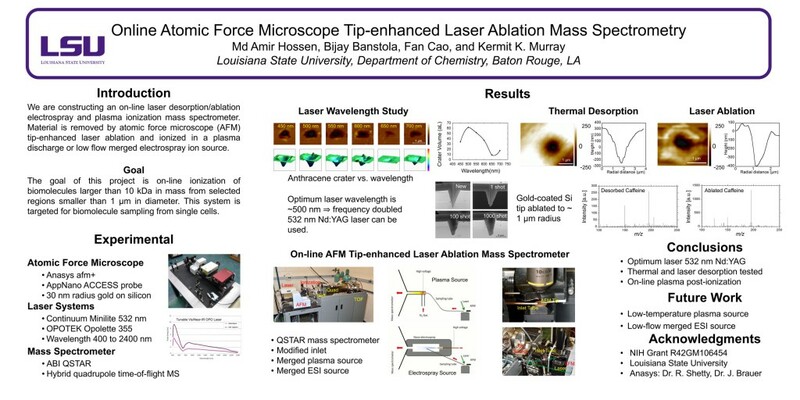 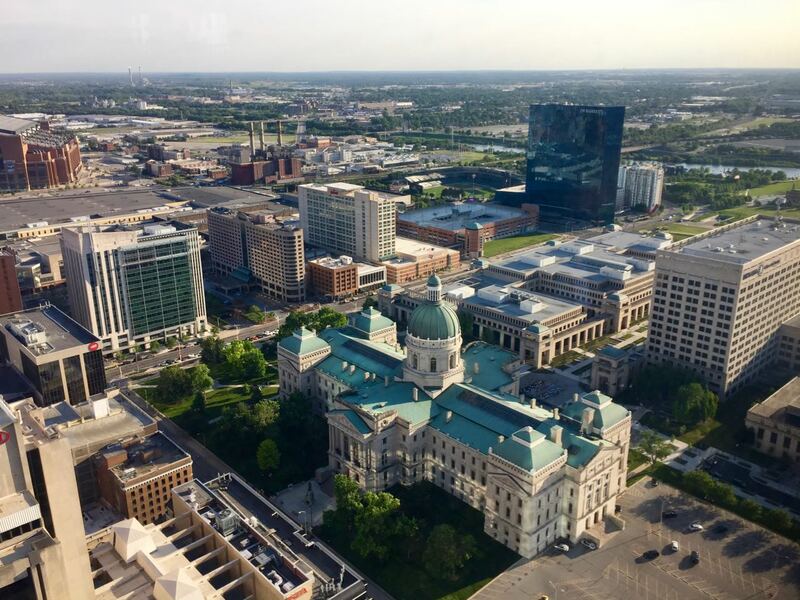 Online Atomic Force Microscope Tip-enhanced Laser Ablation Mass Spectrometry, Md Amir Hossen, Bijay Banstola, Fan Cao, and Kermit K. Murray, presented at the 65th ASMS Conference on Mass Spectrometry and Allied Topics, Indianapolis, Indiana, June 6, 2017.